Discover out-of-the-way places like Isla Marietas National Park and Playa los Muertos. Step out of the city life by going to Playa Las Animas and Los Arcos. Change things up with these side-trips from Puerto Vallarta: Art In Amber (in Bucerias), Platanitos Playa Beach (in Platanitos) and Sayulita (Rancho Manuel, Sayulita Beach, & more). Spend the 25th (Tue) exploring nature at El Eden. Spend the 6th (Sat) on the water with a fishing tour. Next up on the itinerary: tour the pleasant surroundings at Destiladeras Beach, kick back and relax at Playa Chacala, take a stroll through El Centro, and see majestic marine mammals with a dolphin and whale watching tour. To find photos, other places to visit, traveler tips, and more tourist information, read our Puerto Vallarta trip itinerary builder. Calgary, Canada to Puerto Vallarta is an approximately 8.5-hour flight. Due to the time zone difference, you'll lose 1 hour traveling from Calgary to Puerto Vallarta. Traveling from Calgary in April, expect Puerto Vallarta to be much warmer, temps between 32°C and 22°C. Wrap up your sightseeing on the 8th (Mon) to allow time to travel to Calgary. 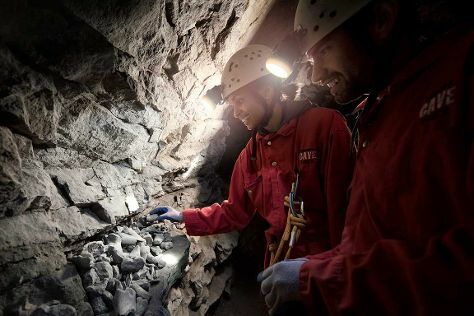 You'll explore the less-touristy side of things at Canmore Cave Tours and Tunnel Mountain Trail. Visiting Sunshine Village and Canmore Nordic Centre Provincial Park will get you outdoors. You'll find plenty of places to visit near Calgary: Drumheller (Horsethief Canyon, Horseshoe Canyon, & more), Banff (Surprise Corner & Whyte Museum of the Canadian Rockies) and Canmore (Mut Hut Pet Emporium Inc., Grassi Lakes, & more). Make the 13th (Sat) a memorable day with a climbing tour. The adventure continues: tour the pleasant surroundings at Banff National Park, hike along Mt. Lorette Ponds, explore the stunning scenery at Mistaya Canyon, and contemplate the waterfront views at Minnewanka Loop / Lake Johnson. To find photos, traveler tips, ratings, and more tourist information, go to the Calgary tour planner. Use the Route module to find suitable travel options from Puerto Vallarta to Calgary. The time zone difference moving from Central Standard Time to Mountain Standard Time is minus 1 hour. Prepare for colder weather when traveling from Puerto Vallarta in May: high temperatures in Calgary hover around 18°C and lows are around 3°C. You'll have a few hours on the 26th (Fri) to wrap things up before traveling home.